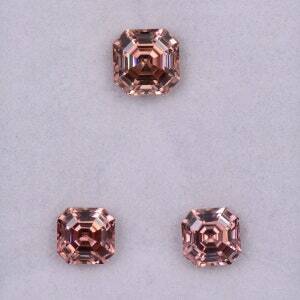 Size: 7.2 x 5.2 mm. These beautiful Tourmalines hit the market several years ago now, and they were very popular amongst collectors and jewelers alike. 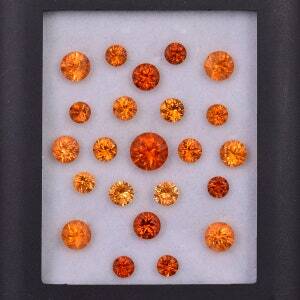 They called them “Sunset” Tourmalines because of the lovely golden yellow and orange tones they display. 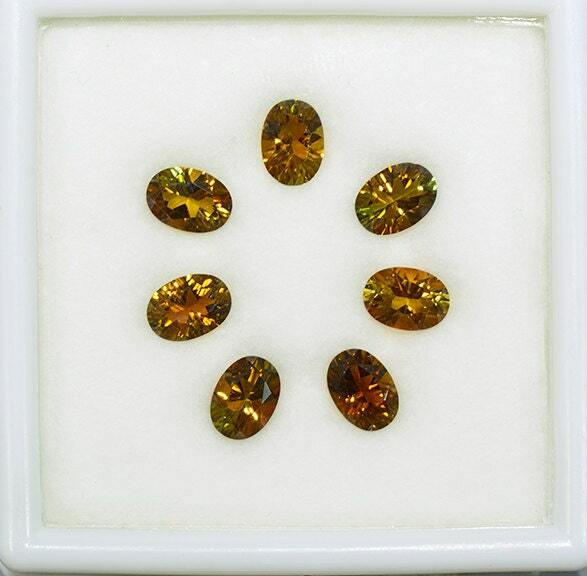 Collectors love their rare color and the jewelers recognized that they were interesting and durable enough to work with. 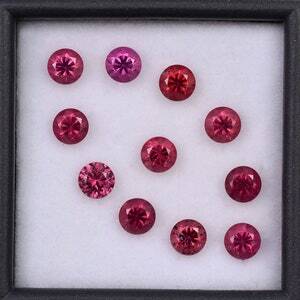 This set features 7 stones in total. They are all well matched for size, and the colors are mixed! 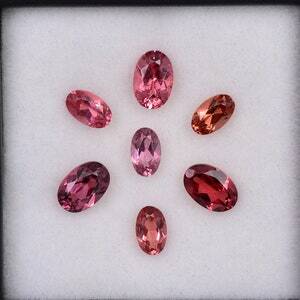 They are all concave cut to bring out superior brilliance. These are just begging to be set into jewelry!